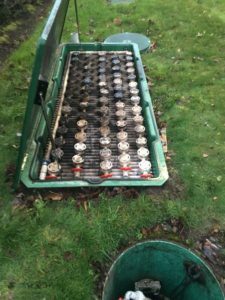 Having problems with your septic system? 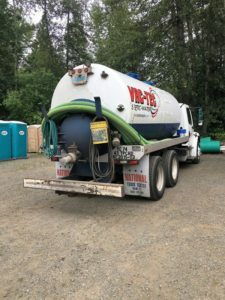 Cannot wait to get it back to running normally and looking for an emergency septic repair expert serving the Sumner, WA area? Give VAC-TEC LLC. a call. Our company is available 24/7 to provide all kinds of septic services. If you want your stalled or malfunctioning septic system to get prompt attention and need emergency septic pumping & cleaning or emergency septic repair services, get in touch with us right away. You can count on us for seamless and enduring septic repairs. We believe that though speed is of the essence when it comes to emergency septic repair, it is equally important for the workmanship to be flawless. Our company is also one of the best sources for emergency septic pumping & cleaning services in the Sumner area. Contact us if you need your septic tank to be cleaned out urgently. Ideally, home and business owners whose properties maintain a septic system for waste management should bring in professionals for septic system inspection from time to time and get septic tank pumping done every 3-5 years, depending on system usage. We offer emergency septic pumping & cleaning services in Sumner even to prepare properties for sale. A perfectly functional septic system adds to the efficiency and value of a property. And, working of the system depends a lot on the capacity of septic tank to hold waste. Schedule emergency septic repair or emergency septic pumping & cleaning services in Sumner. Call VAC-TEC LLC. at (253) 777-4887.